Step 1: Begin to think about your study abroad interests (possible region, country, city, when you’d like to go abroad, what you'd like to study, etc.). Step 2: Search for some ideas in this Portal! This is not an exhaustive list. Please contact OIE if you do not see the program on which you wish to participate. Step 4: If studying abroad for the fall and/or spring semester(s), understand the different Program Options. Step 5: Apply directly to the foreign university or study abroad program provider once you've chosen a program(s). 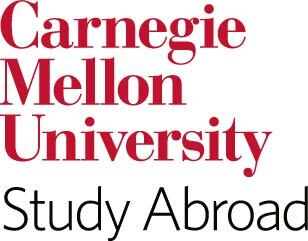 Step 6: Complete the Carnegie Mellon Study Abroad registration/approval process - by first attending a required Pre-Departure Orientation session.